At present, conversational AI is most widely used in chatbot solutions and are heavily focused on enhancing customer service. 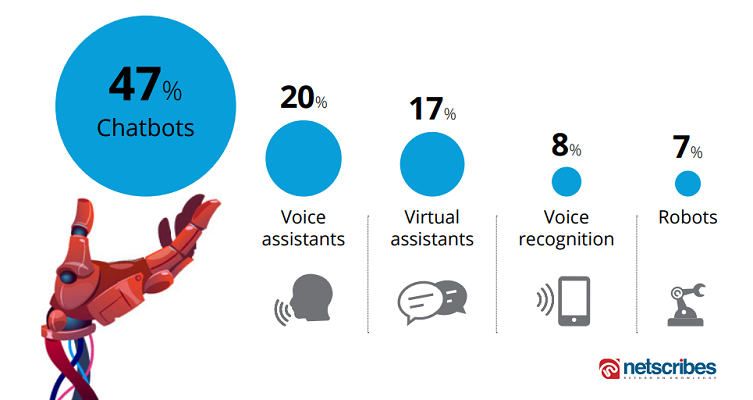 That said, there’s an increasing focus on optimizing transactions and back-office operations using voice interfaces, conversational AI and humanoid robots across North America, Europe and the Asia Pacific. Here are some examples of these technologies in action. OCBC bank’s app, HR In Your Pocket, includes an AI-powered chatbot called “Buddy” to meet the needs of its employees. The chatbot is integrated with the bank’s HR information system to provide immediate responses specific to each employee. Employees benefit from on-the-go support for leave applications, reimbursement claims, and HR policies. Similar to Apple’s Siri, Buddy can answer employee questions in text as well as voice. OCBC bank uses another chatbot, Emma, to optimize the customer journey and increase sales conversions via the digital channel. The chatbot provides 24×7 support to customers looking for information on the bank’s products and services, especially home and renovation loan queries. Furthermore, the bank has collaborated with Google to provide instant, voice-powered banking services to its customers. 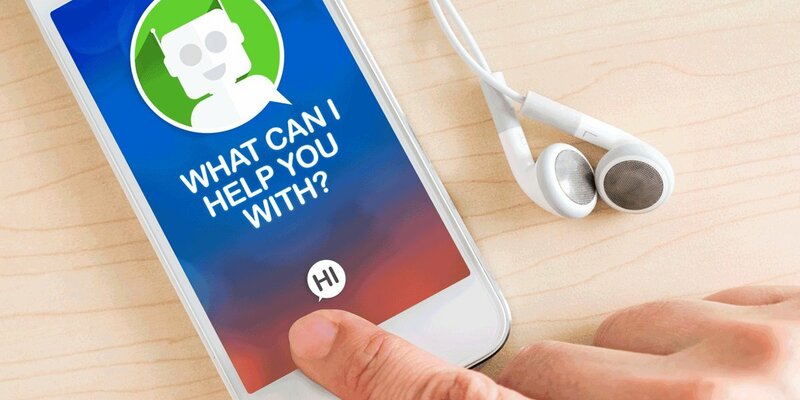 JPMorgan is working on rolling out an AI-powered virtual assistant that answers queries and suggests insightful recommendations to clients based on their behavior. This program is being developed to help corporate clients optimize the bank’s treasury services. In addition, the firm has collaborated with Amazon Echo to allow investment banking clients to access its research using voice-commands. J.P. Morgan’s Contract Intelligence (COIN) algorithm can analyze complex legal contracts, analyze and categorize emails for employees, manage common IT tasks, and provide access to software systems. The company claims that the bot reduced work from 360,000 man hours down to seconds and is less prone to errors. Bank of America’s AI-powered bot, Erica, acts as a personal banker to customers using its mobile banking app. Erica uses predictive analytics and cognitive messaging to execute transactions, offer banking advice and information through a voice and chat interface. Capital One’s virtual assistant, Eno, helps prevent credit card fraud by creating temporary virtual card numbers when cardholders make online purchases. It has other features as well, such as sending bill payment reminders and enabling users to check their available credit and credit limit and pay bills via SMS. Capital One also allows customers to manage their accounts using Amazon’s voice-activated virtual assistant, Alexa. The growing influence of digital in everyday life has made technology companies a dominant force in almost every sector, including financial services. Global tech giants such as Amazon, Apple, Samsung, and Nuance, and startups such as Kasisto and Clinc are some of the major providers of voice-powered conversational AI in the banking sector. Bank of America’s mobile app, for example, allows customers to use Microsoft’s Cortana to carry out banking services using voice commands. Bank of America also plans to transform its virtual assistant Erica into a virtual system that will work on Samsung’s Viv voice platform. Similarly, Capital One has partnered with Amazon to enable customers to carry out transactions using Alexa. Information security will continue to remain an area of concern, despite the use of voice biometrics in authenticating customers. Banks will need to consider challenges such as preventing customers’ confidential information from being overheard when using voice services. In a joint study by the National Business Research Institute and Narrative Science, 12% of surveyed financial institutions cited the fact that AI technology is new and untested makes it risky to adopt. Despite rapid advancements in natural language processing and AI, even the best bots in their present state struggle with complex user queries. Financial institutions need to have proper escalation protocols in place for dealing with unanticipated situations to avoid customer frustration. Another challenge is that the financial sector highly regulated. This means that organizations need to lay out implementation roadmaps that take all the regulatory principles into consideration. The data-hungry nature of AI solutions requires companies to capture and mine vast volumes of customer data, which can lead to compliance issues. Netscribes helps companies in the financial services industry to identify emerging technologies and provides recommendations to guide their technology implementation strategy using an integrated research approach. To know more, contact [email protected].